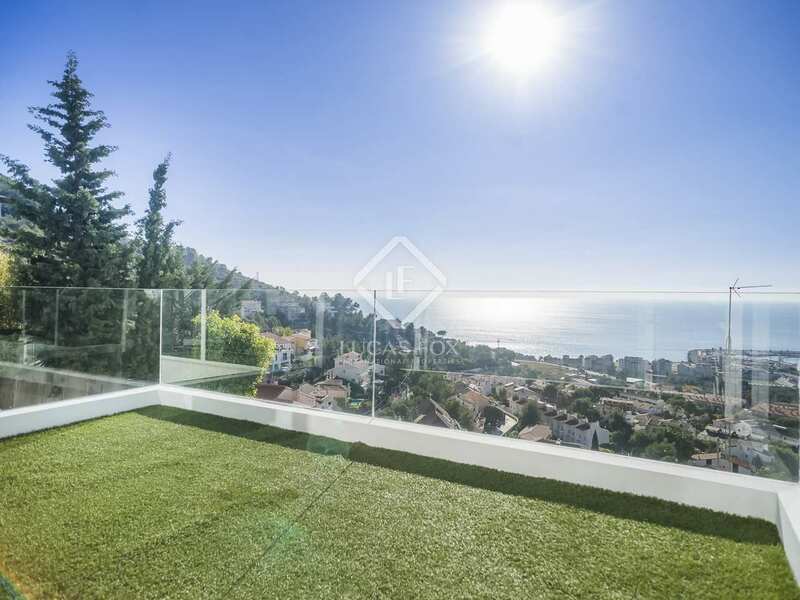 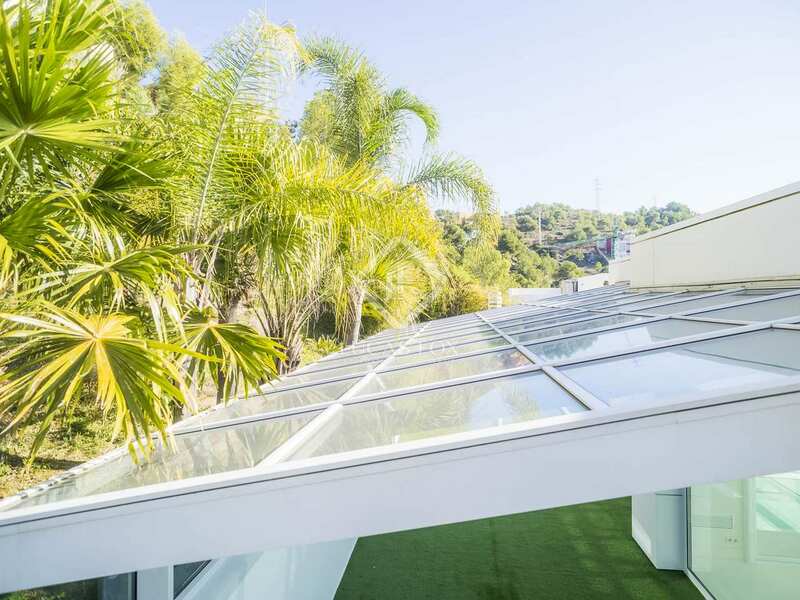 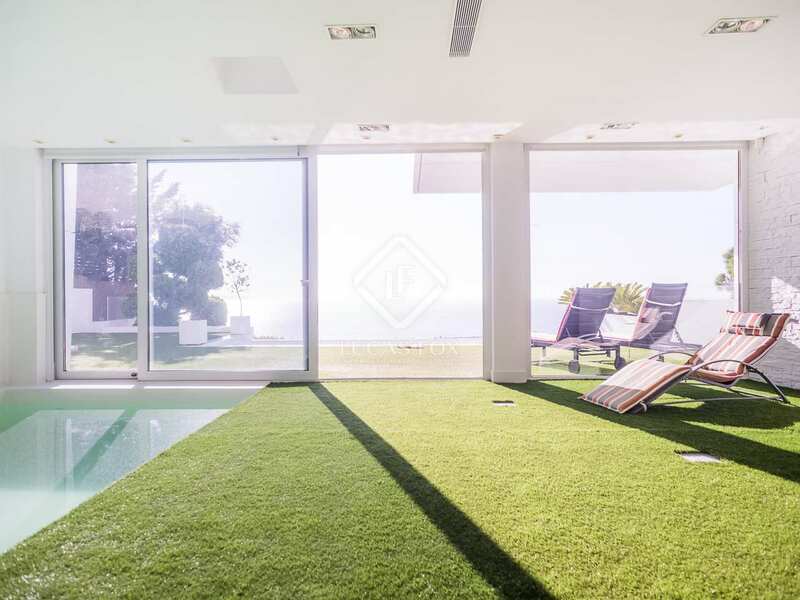 Exclusive modern villa, built in 2008, with a wonderful terraced garden with an infinity pool overlooking the Mediterranean Sea in the prestigious Levantina residential area in Sitges. 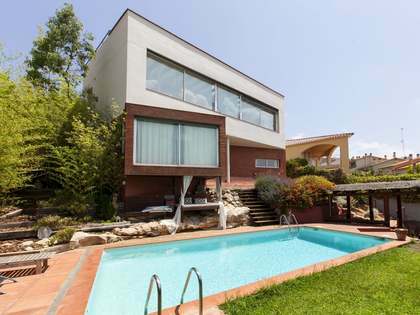 The villa is organised over 4 levels which are all connected via stairs and a lift. 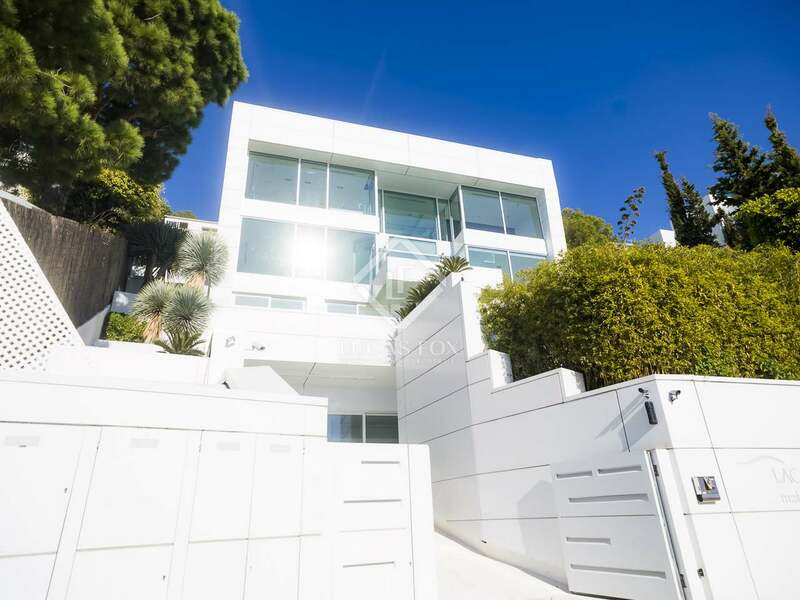 The ground floor provides an excellent 100 square metre bedroom suite, the machine room and storage room. 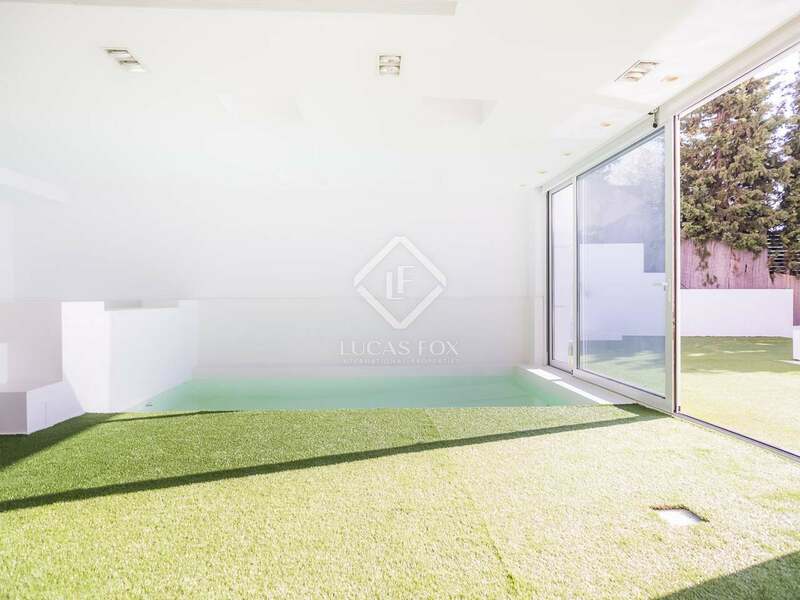 (This space could also be easily converted into a garage). 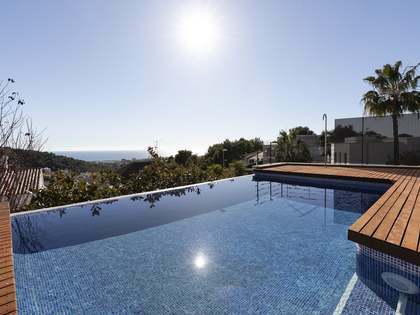 There are 2 double en-suite bedrooms with sea views and a wonderful spa area with a heated pool, jacuzzi and direct access to the garden where we find the magnificent infinity pool. 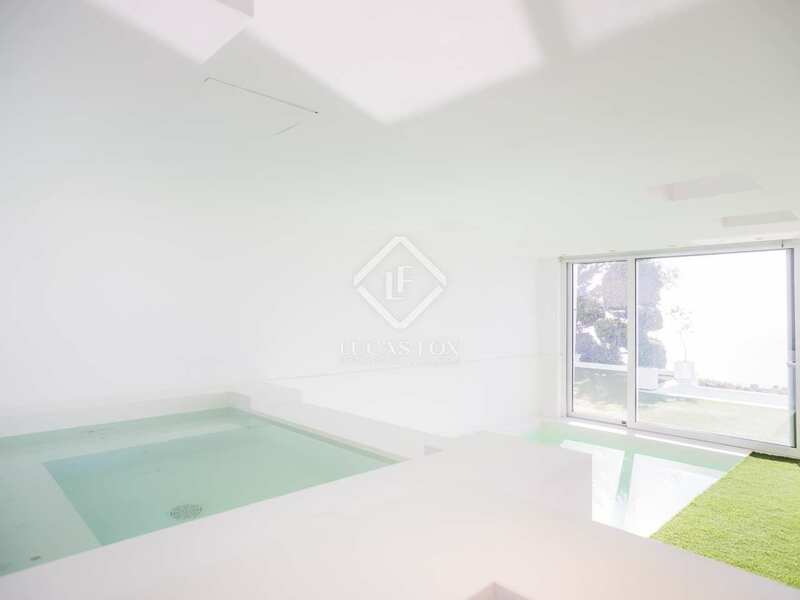 The second floor accommodates the large living room. 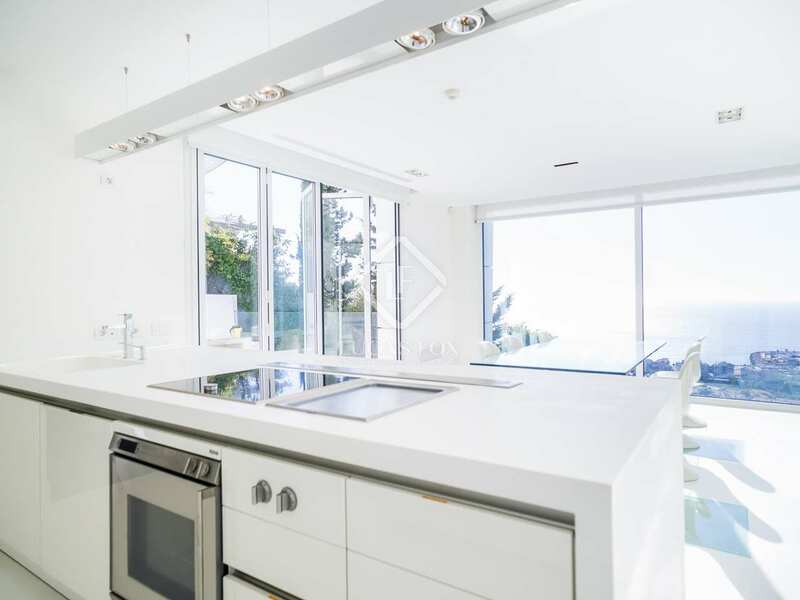 Here, glass doors connect to the Siematic kitchen with its central island Gaggenau and Viking appliances. 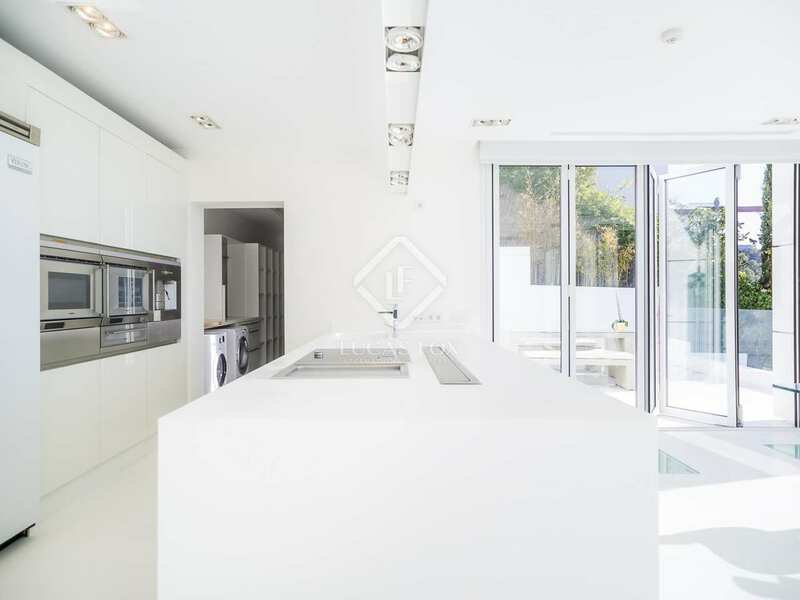 A beautiful, bright dining area is located next to the kitchen with access through large glass doors to an outside terrace for al fresco dining. 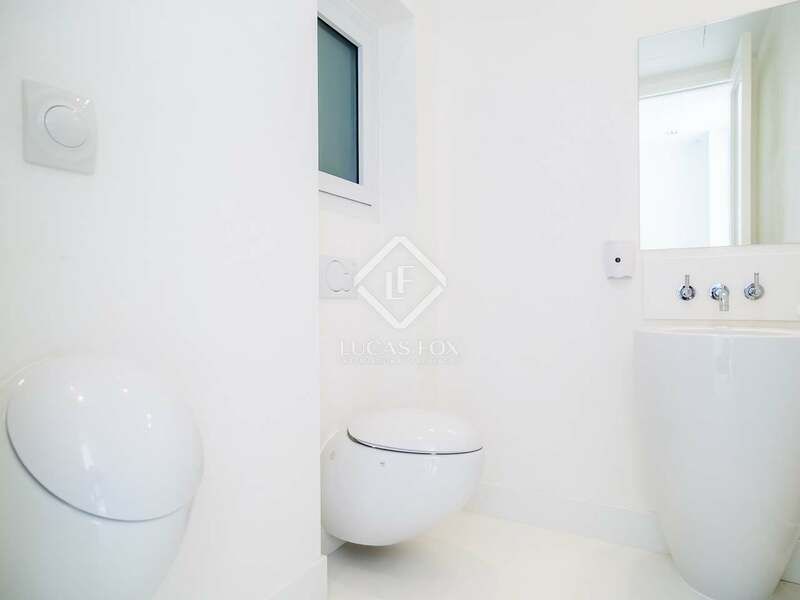 A guest bathroom and 2 further terraces with sea views complete this level of the house. 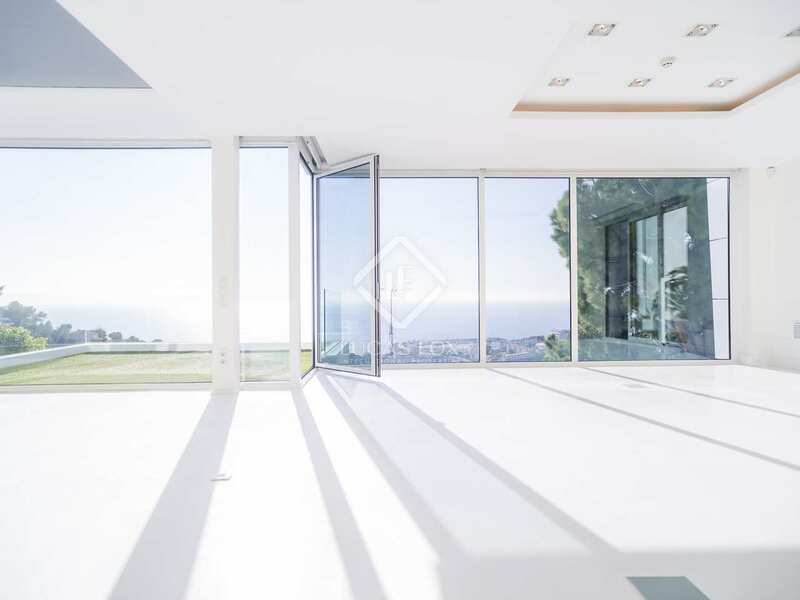 The third and final level is occupied by the incredible 120 square metre master suite with a bathroom, a very special bathroom area with a large open shower and bathtub with sea views, a dressing room and another bedroom, also with sea views. 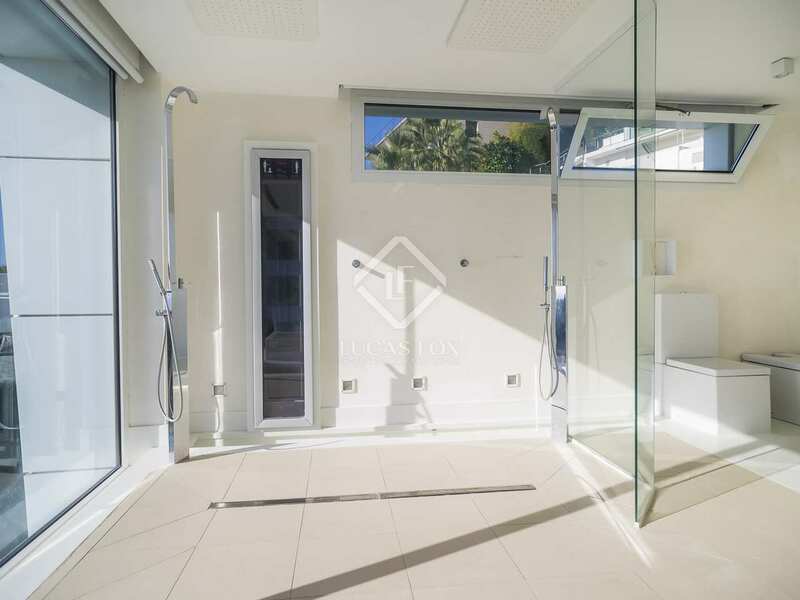 There is scope to convert this area into 2 en-suite bedrooms for example. 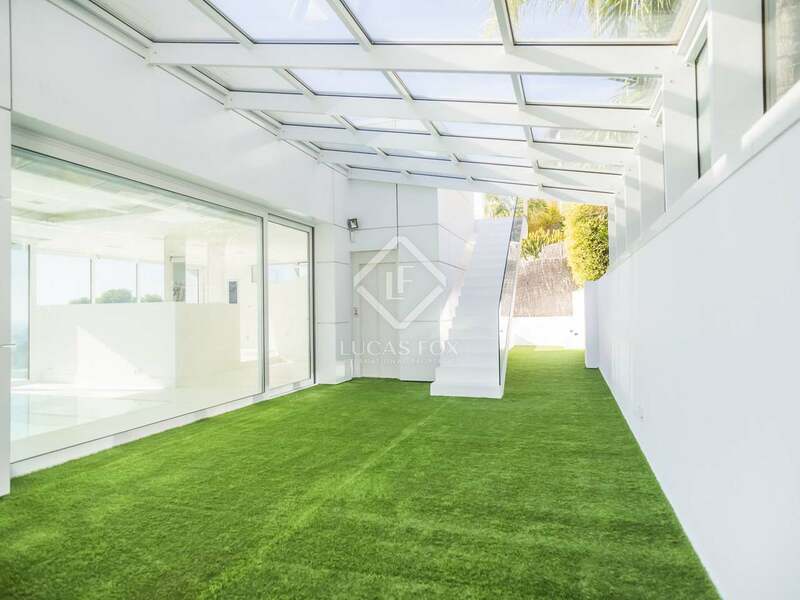 This level also has direct access to the garden and a large open glass covered area with a built in bar. 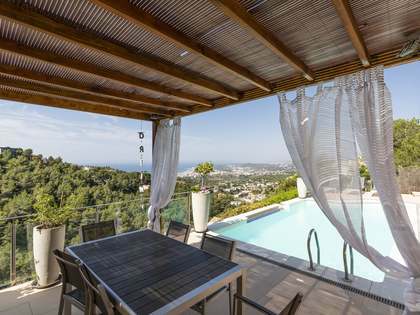 There are steps leading up to the large roof terrace with it´s spectacular sea and mountain views. 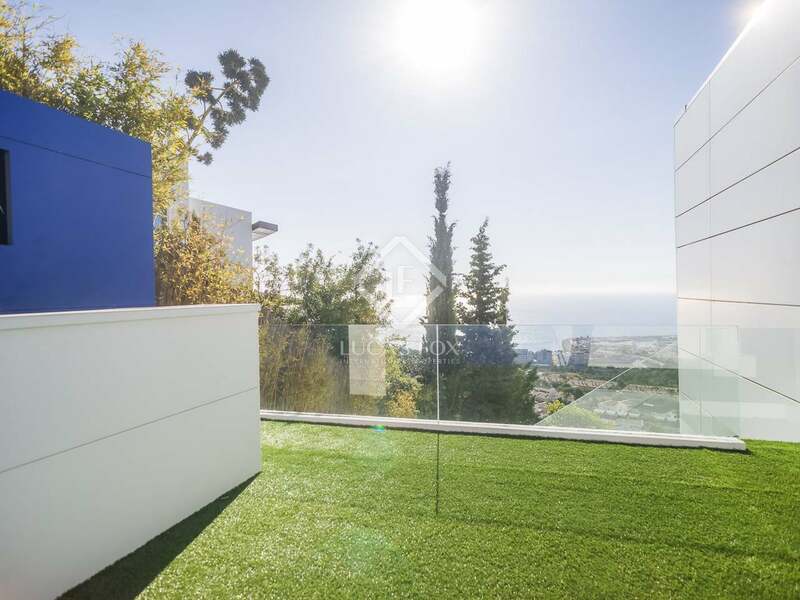 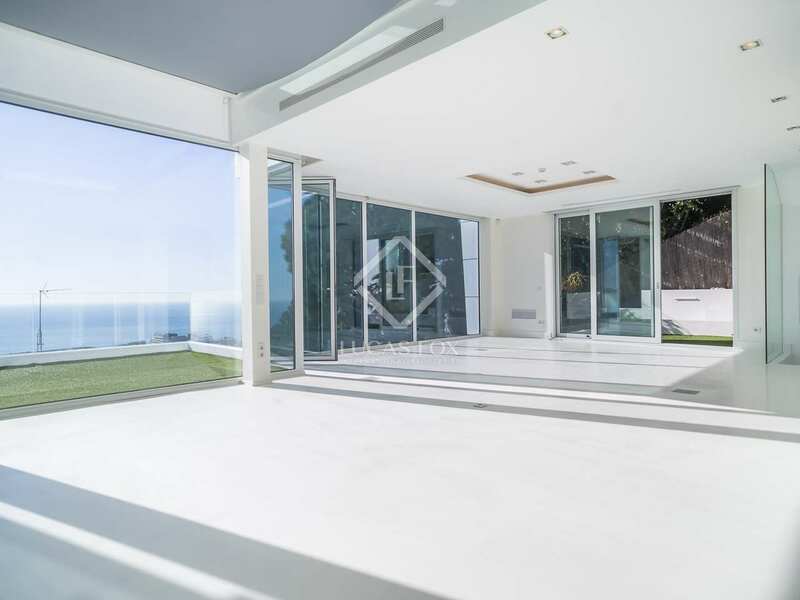 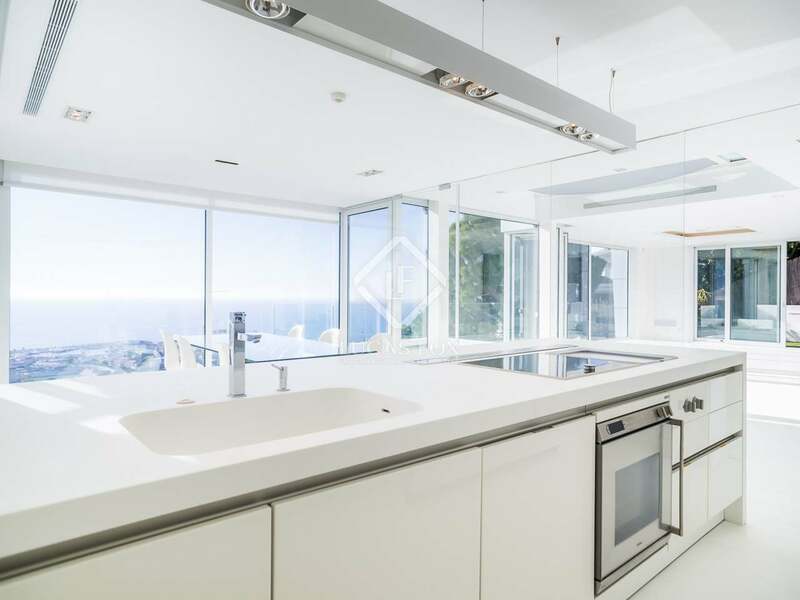 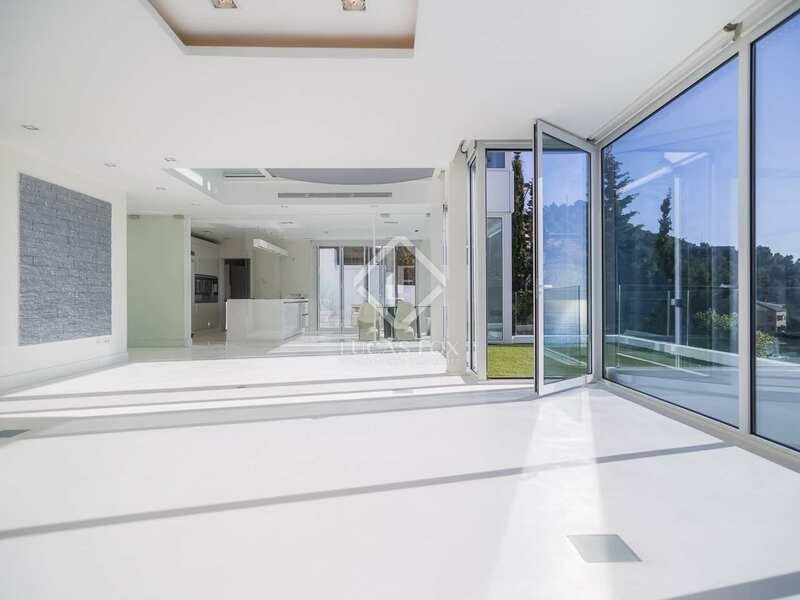 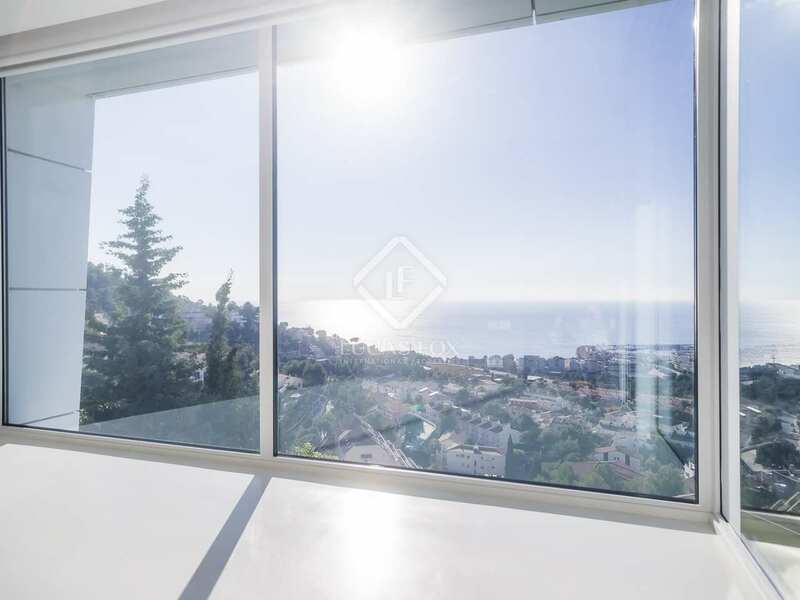 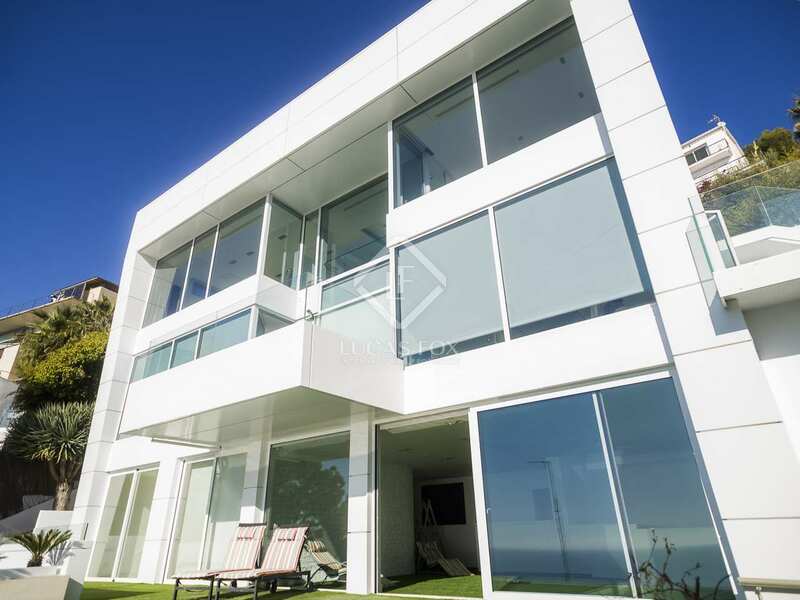 An exquisite luxury villa with the best views in Sitges, high quality finishes,( estuco walls, polished cement floors and Corian surfaces) free-flowing open plan spaces and many alternative layout options. 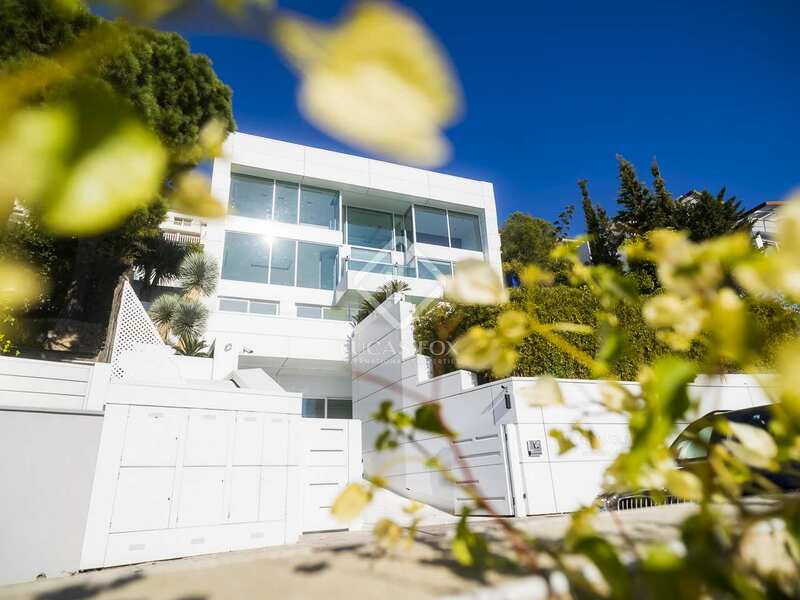 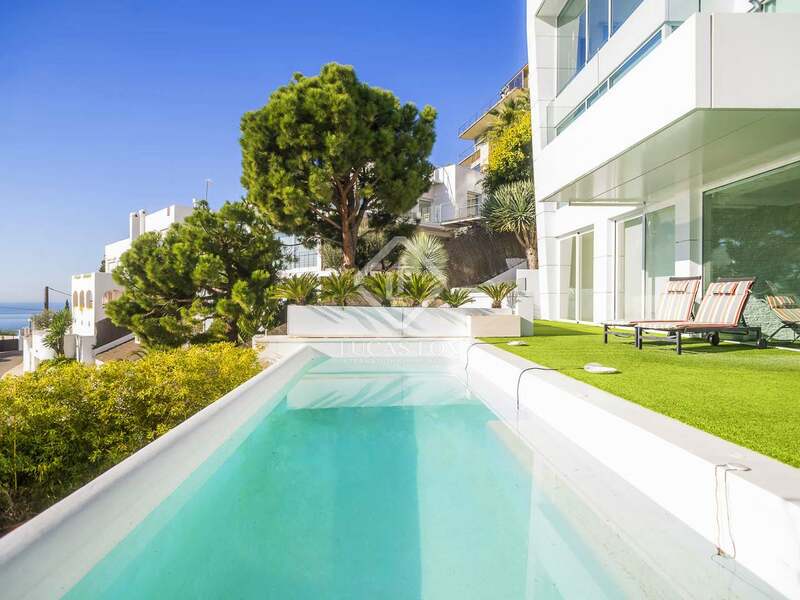 This wonderful villa is located in the peaceful Levantina residential area of Sitges. 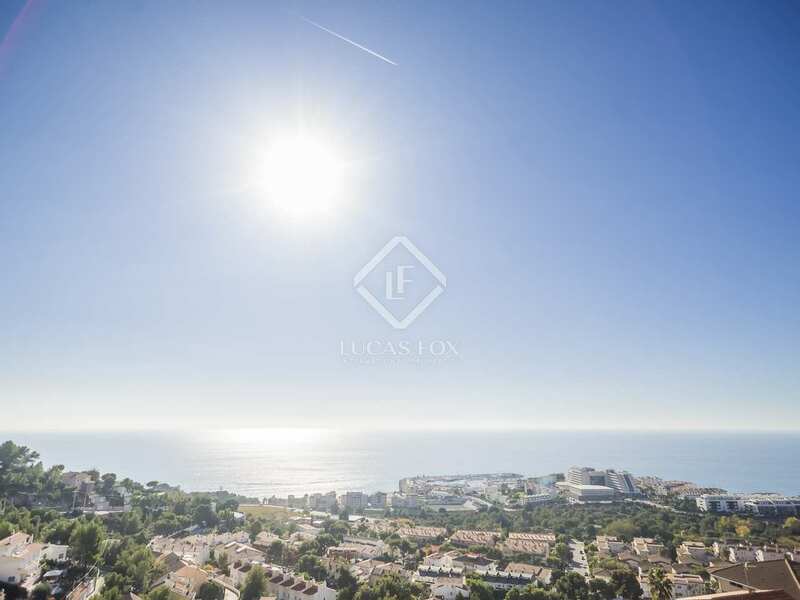 It is a safe, quiet neighbourhood that is just minutes away from Sitges centre, beach and train station.